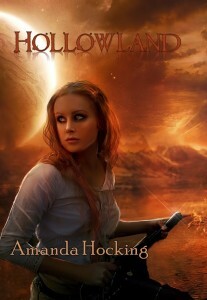 In anticipation of the release of Hollowmen (The Hollows, #2) (which is currently with the editor and should be out sometime within the next few weeks, barring a nuclear holocaust or a zombie apocalypse), I’m going to be giving away THREE signed paperbacks of Hollowland (The Hollows, #1). 1. There will be three winners, with each person receiving one signed paperback of Hollowland. 2. The giveaway runs from today until midnight on Friday, October 31, 2011. 3. To enter: Comment below and with a way to contact you in case you win (email addresses work best). 5. Winner will be chosen by Random.org. I lOVE your books!! THEY’RE REALLY GREAT <3 I would absolutely love to have this one!!! Awesome! Count me in. I loved Hollowland and I can’t wait for Hollowmen. I’ve read your book and love it!! I would really like a physical copy to share with others. Can’t wait to see what happens next! Thanks for the giveaway. Amanda, I can’t wait. I’m one of your biggest fans. I’ve purchased all your books for my kindle and even had all of my friends by your books also. I have been an avid reader for 28 years now, and you’re one of my top 10 authors. Keep up the great work. I keep recommending this book to people, it’s just so good! I can’t wait to get a copy of “Hollowmen” – as soon as that’s on my Kindle, I’m going to just have a reading marathon, from “Hollowland” right into “Hollowmen” and then I’ll probably have a giggle fit. I love all of your books and I can’t wait for you to come out with the new Hollows book! Thank you for the free giveaway! This is my favorite book! Thanks for the choice to win!